The innovative kit allows you to peel off emblem and so on cleanly with the special thread when you take it off or change it. 1. Check how the emblem is attached. 2. Slip the thread with the included grip between the emblem and car surface. Hold on the grip with both hands and rub down slowly to separate the glue of the emblem from the car surface. 3. 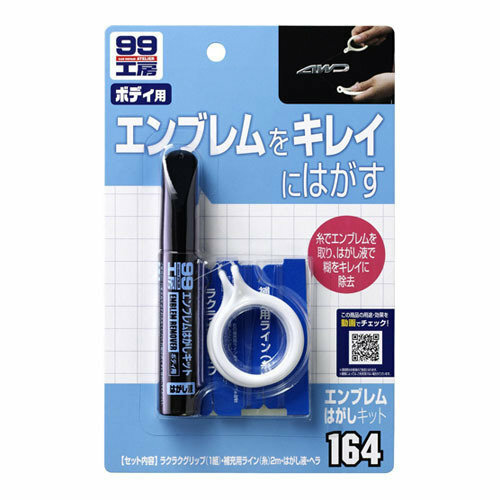 Remove the glue residue remaining on the car body with the included release agent and spatula while being careful not to damage the car body. 4. Wipe the residue off with a soft cloth.